What could symbolically represent the second leg of one’s life better than a brief, medically induced coma out of which you awake reborn, in some way better put back together? I don’t want to bore you with personal details but for me it was hip surgery and weeks later I am walking without great pain and sans a limp. I believe in both God AND Science and the two are not mutually exclusive here. This recovery represents my second life… my second chance at a happier life. Sometimes our brains sell us on the objective of becoming something we are not. I used to want to outshock the leading horror novelists of yesterday and today by taking it up a notch. I was good at it, but my mind was in the wrong place. It’s not about disturbing people, even in horror. It’s about inviting them to care, hold their breaths in suspense, and finally smile and share the story with their children or friends. Now I try to make my readers’ already challenging lives a bit more inspired through tales that lead readers to empathize and find joy. This spiritual change in me began pre-surgery, when I drafted a tale for my mother who wouldn’t live long enough to read it. She’d always wanted me to write a sweet tale that anyone could read, not horror or bleak science fiction that shocked and disturbed in an, albeit, cautionary way. Perhaps inspired subliminally by Davey and Goliath and Mister Ed, and definitely by Mark Twain and Bugs Bunny, I researched and wrote Donkey Sense quickly in 2012 and into 2013, receiving months of multi-peer feedback. Fellow novelist and friend Susan Finlay read Donkey Sense online and pointed me toward a small traditional publisher now doing business as Clean Reads Books. My submitted manuscript was sweet enough to be warmly accepted by this publisher whose authors’ material sometimes feeds G-rated Hallmark Channel movies. This physical and spiritual reawakening was just the break I needed toward channeling a healthier voice long hidden inside of me and toward telling professional tales in a new genre: Middle grade / tween fiction, or if you prefer tales for children of wonder who are near adulthood. The remaining big challenge in this second life of mine is to continue to write charming books my mom would be proud of, tales that have realistic conflict and villains, but that still leave us with hope. Because hope should be the focus, balanced with healthy respect for any realistic future threats. I for one have shed that dark and hopeless past of horrors in a metaphysical exorcism disposal bag full of surgical detritus and my extracted bogus hip. Let’s forget it. Let it go. It’s gone. I’ve re-found myself as someone who tells stories that inspire. I humbly invite you and your family to try Donkey Sense in paperback or e-book. 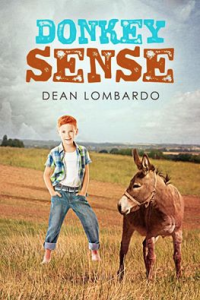 Along with another inspirational animal tale I’m working on, Clean Reads Books and I will have a sequel for your enjoyment in early 2018: It’s called Donkey Sense 2: Saving the Farm. Donkey Sense, the E-book: Try it for just 99 cents. Donkey Sense, in Paperback. Own the beautiful paperback edition from Astraea Press, now Clean Reads Books. Need a vacation? I surely did. Yet even as I write this, it’s nearly over. But first, let’s flash back. I was researching and writing my tail off seven days a week, nonfiction mostly Monday through Friday, and fiction predominantly Friday night through Sunday. It’s a lonely, indoor activity. Minus any vital sun on my skin, it was getting to the point where I was subconsciously consuming huge amounts of vitamin D (mostly Jarlsberg cheese) just to stay healthy. My back and hip ached to the extent that I could barely walk or even sit comfortably. I needed to get out of the writing chair or standing desk and onto a beach, into the ocean, or find myself a whirlpool. I needed to do so without any guilt. You see, Americans working for international companies often catch grief for trying to take a week or less while their European counterparts are entitled to weeks and even months at a time, regardless of deadline schedules. So, in the spirit of not writing during my writing break, I promised myself during my R&R in South Carolina to check work email only once in a while, move work-related projects forward when I could, draft this lousy blog, and read a lot, because all the top writers say that reading is one of the best methods for training for the craft. Already during this mini-vacation I’ve completed Preston and Child’s “Thunderhead,” and now, I’m getting a kick out of my damp, sandy copy of J.A. Konrath’s “Whiskey Sour,” which my son buried in the beach bag under his sand-caked pair of flip flops. 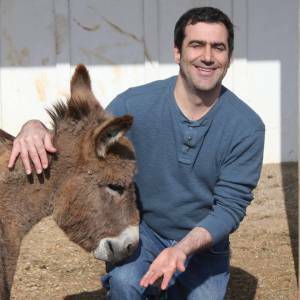 I was expecting to have some exciting details in this blog about the sequel to my third novel, “Donkey Sense,” but the communication lines are staticky and slow, so at this time I can just say that “Donkey Sense 2: Saving the Farm” has been accepted for publishing by Clean Reads Books. I can provide more information about that in future blogs. Now, here are some pictures from my vacation. Hehehe. Big alligator sighting/ Sneaky Gator (8 to 10 feet long). Here he/she comes! I better give her some room. A close-up! Little fella (5 and ½ feet) crosses the trail to get to the other side. And that concludes our vacation pictorial. If you’re looking for a good beach read yourself, check out my books. These books are available on Barnes and Noble and Smashwords. Hello there, Kids… Moms and Dads. Pets alike. Welcome, once again to the Animal Guardian Series of Tales. I’m Dean Lombardo, sole custodian of the Animal Guardian chronicles. It is an honor to be the proprietor of these sacred tales, which have been handed down from master yarn-spinner, to master humorist, to master storyteller, from Mark Twain, to James Thurber, to John Steinbeck, to the likes of humble little me. Eleven-year-old Sara Massey feels neglected and depressed. 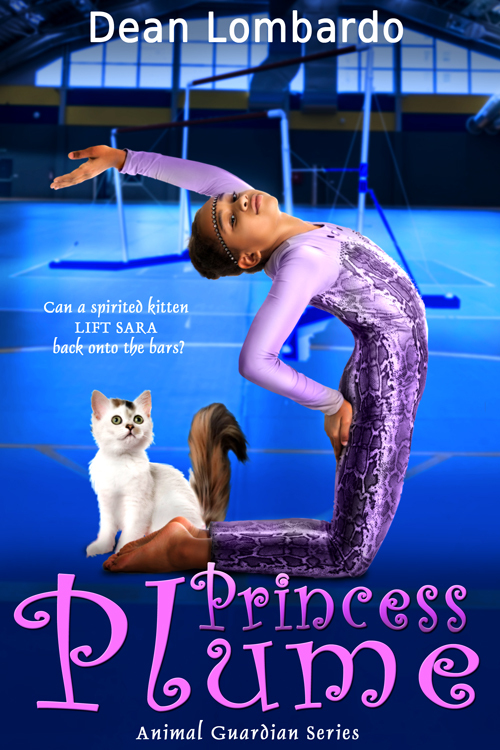 Two years after a haunting, near-crippling crash from the uneven bars, Sara can’t return to her favorite sport of gymnastics without risking death or complete paralysis. Or can she? In a hopeful flicker of her desperate heart and soul, Sara adopts the kitten of a wild barn cat, and the fearless kitty gives Sara all she can handle, plus a jolt of confidence. But as Sara begins her risky comeback in gymnastics and life, an imposturous Turkish sultan calling himself Orkhan Hamid arrives to claim the kitten for his own. Desperate for the kitten’s rejuvenating power, Hamid will even steal to turn his fortune around. Can broken-hearted Sara stop this mysterious pet-napper to keep the cat of her dreams? A fun and meaningful read for all ages. You may have recently encountered a series of memes on social media, each featuring a scene from the movie Goodfellas where a laughing Ray Liotta is dubbed as saying something like, “And he insisted that Olive Garden was a real Italian restaurant.” Hahahaha. This has been a running joke among us Italian Americans for at least a year, as best as I can tell, but I have to make a confession I sincerely hope won’t have me fitted with cement overshoes and dumped at the bottom of the Brooklyn Bay. I actually like Olive Garden. Wait! Before you come after me, listen, please! I grew up in Norwalk, CT, about 40 miles outside New York City, and every Sunday my dad would take me over to Grandma and Grandpa Lombardo’s in the nearby town of Darien for Grandma’s outstanding pasta and meatballs covered in scrumptious marinara sauce. And the salads—if you could stand the copious amounts of vinegar Grandma doused the lettuce with—were, well, mouth-wateringly delicious. These Sunday feasts, in addition to my living in the world’s best pizza region stretching from New York City all the way to New Haven, CT, have made me qualified to judge what’s good and what isn’t. But at the age of forty I somewhat reluctantly left the northeastern United States, so teeming with Italian Americans and their culinary talents, and, as part of a job transfer, landed in Loudoun County, Virginia, where Italians are as rare as polar bears in the Sahara desert. It’s all about U.S. migration patterns, you see. Here, in rural Northern Virginia, the land was predominantly settled by Germans, Scots, and Irish, and other non-Olive-green-skinned Europeans. Here, they do barbecued pulled pork, hamburgers, hot dogs and French fries. Here, should an authentic Italian American open a ristorante or pizzeria the locals are just as likely to choose Domino’s or Chef Boyardee. They wouldn’t know a good slice of pizza or bowl of pasta if it bit them on the lips. One year, I won a free Domino’s pizza which I couldn’t even get the dog to eat, and the dog was a Labrador who once even ate a full diaper. Bleurgghh! Later, when I was a Little League coach down here, we threw the kids a “pizza” party when the season was over. The moms ordered Domino’s because it was the cheapest. I politely abstained. The wife, she rise to the occasion. Make me the cavatelli and meatballs. Yeah, there are exceptions such as Teddy’s Pizza in Middleburg, VA, and 900 Degrees in Purcellville, each owned and operated by authentic Italians and cooking up delicious pizza, pasta and more. Teddy’s is a long drive for my family and me, and 900 Degrees has to cater to the local “tastes” or risk going out of business like so many Italian restaurants in the area, so I can’t exactly get cavatelli or spumoni there. However, for the most part, the Italian food south of the Mason-Dixon Line is a perversion of the traditional ingredients and flavor. As a general rule, the farther you get from the cities where Italian immigrants settled, the scarcer and more unappetizing the Italian cuisine gets. My cousin in Connecticut felt so sorry for me she shipped a family-sized portion of cavatelli, meatballs and sauce to me, courtesy of John The Baker in Stamford, Connecticut. So, for all you Italian Americans scorning Olive Garden, why don’t move down here and see how long you can go looking for the ingredients you need to whip up your own traditional Italian food? See how long you can go without a sweet cousin shipping you cavatelli and meatballs from the northeast? See how long you can go before waiting in line at Olive Garden or Bertucci’s for something different than pulled pork and better than fast food abominations such as Domino’s? Today, Dean’s Den welcomes author Sophia Whittemore, one of the younger authors I’ve met who’s gotten published the traditional route. 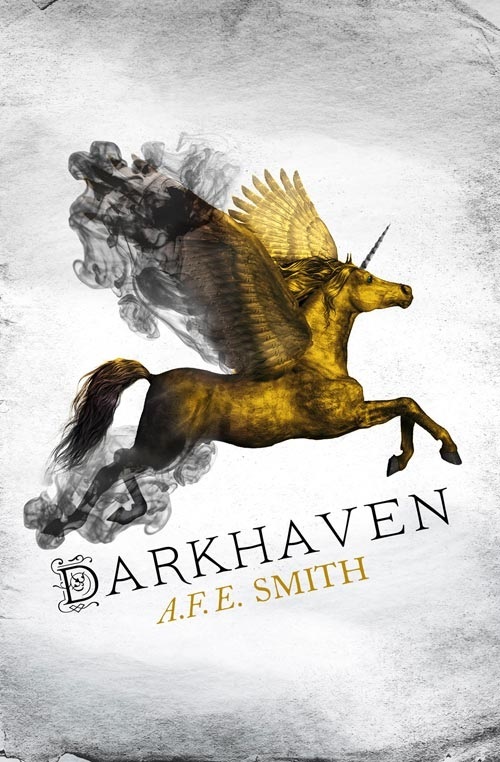 She’s an interesting young woman and her YA fantasy novel, The Funnyman, just released this week from Clean Reads. Sophia, tell us about yourself, where you live, and what you do when you’re not writing. I grew up in the Midwest with my mom from Indonesia (rich bloodline of Taiwanese aboriginal and Javanese, among other things) and my dad from Minnesota. Suffice to say, mixed country dishes like rice with turkey bacon and anchovies were a common food item in the house. I now live in the Chicago area, which is good because we have a lot of close friends here. However the majority of my relatives live in other states or Indonesia, but that’s okay. Distance doesn’t matter in family love. And I love traveling! All of the world is so incredibly vibrant and amazing. When I’m not writing, I’m being a teenager. I’ll dance in front of a mirror, sing in the shower, or be fairly angsty while finding the poetry behind calculus in order to make each class fascinating. Calculus? You’re likely to lose a journalist like me on that topic. So, uh, when did you start writing, and when did you start writing fiction? I started writing for fun in first grade with an epic saga about pencil wars with illustrations and everything. I started my serious writing stage when I was at the end of my sixth grade year. A teacher pulled me aside and said she cried when she read my essay and that I could do this for a living. From then on, I joined online writing forums, wrote furiously everywhere I could, and drooled over fancy journals and pens shaped like swords. I wrote fiction because fiction was the main genre I read. As a child, gods roamed between the pages of fiction novels while I imagined I could control the wind, earth, and skies if I only willed it hard enough. That same imagination told me there were fairies living in tree holes and rocks that sang lullabies to princesses. Wizards turned into hawks while hawks turned into kings. It was a wonderfully prolific time. Is The Funnyman the first novel you’ve written? The first novel I’d written actually involved love from beyond the grave, with similarities to the Funnyman, only with an entirely angst-driven set of tween characters. I actually called this novel (the eighth or so novel I’d written) “The Funnyman” based on a superstition I had. A girl told me the first novel I ever got published would start with the letter F. She told me that her grandmother could see the future and she could too. Therefore, I wrote all my other novels and granted them titles with the letter F in them. Who knows, maybe I made the prophecy come true all on my own…or maybe it really was magic. Which genres is it and what is it about? The genres the Funnyman falls under include YA adventure, fantasy, and romance. Think Prince Charming meets a serial killer meets a battle of the gods meets kidnapping, escape, and an ending that leaves you enchanted. Here’s a more formal summary: It isn’t a laughing matter when Diana starts to see things in the mist which other people don’t: monsters, gods, and deadly shadows. Yet now she sees another thing, the world of the Impetus, a reality where humans are enslaved and the once-beautiful gods are actually tyrants. Diana must find a way to escape before the exiled king Fear, a vengeful murderer, hunts Diana down to get back something she’s stolen from him. But will her growing feelings for the Prince Isak, the oddly sullen god of comedy, draw her into an all-out war? A god of comedy. Brill! What inspired you to write The Funnyman? The inspiration for The Funnyman came while walking from school my sophomore year of high school. There was ice on the grass and the sky was a startling shade of frosted blue. Suddenly, a prince who had a Peter-Pan-complex popped inside my head. He floated somewhere beneath the rafters of the exit to my school building as I stated off into space and closed the door behind me. But his eyes were sad, hiding some sort of dark secret. And I felt very alone and emotionally wanting at the time. Isak helped me through that. I just had to find out more about his fantastical, epic story. How and where do you like to write? That is, in private or public? With music or in silence? I like to write wearing shorts and sitting in front of a heater while sprawled out on a shaggy rug. (I pretend I’m on a tropical island in the winter). And in the summer, I write by the breeze of a creaky, old fan. My laptop is in an unnatural position so I can “get comfy but not too comfy” and get to work. In order to write, I mostly need silence and privacy. Writing in public or with too loud of music serves as a distraction. I only play music during fight scenes when my heart rate literally needs to be racing or when I need to drown out any outside noise to choose the lesser of two evils. Do I take it that this is a series? How many more in The Impetus Rising series or have you not decided? I am most definitely taking this to be a series. Prince Isak is a cunning sort of trickster. He slips between the cracks of my imagination as quickly as a thief in the night. His story just plays out sort of naturally inside my head. It’s like a movie viewing for one. I’ll write as many books as are necessary until the end credits finally roll onto the scene or until Isak demands it of me. Sigh. Imaginary princes can be so bossy. What time-saving advice can you give to teenagers who are driven to get a novel published as soon as possible? Don’t wait. Write now. Write often. But don’t feel pressured. Don’t get stressed. Your health is more important than having an ultimate due date. If you can handle the hard work, then by all means, write in journals. Write both in and outside of your designated writing classes. Spend less time talking about how one day you will write and WRITE NOW. There’s no time like the present, but don’t get discouraged if it doesn’t happen right away. You shouldn’t hide your writing from the rest of the world if your final goal is publication. Let parents, teachers, and the bestest of friends help you work through it. Edit your stories to perfection and put yourself out there. Enter contests. Send your polished “babies” (your novels) out there to good, caring publishers that are right for you. Finish writing personal and educational projects. And don’t give up. Some of the best, most inspiring letters you get as an author are rejections. It shows that you are out there and you are DOING something, living something, and making dreams come true. Also, one more tip. Don’t delete your old projects. I know you might think old writing is the worst writing ever, but some of your most creative stories can come from your past. Don’t forget it. If a teen could only read one line from this interview, what would you want that line to be? Leave mediocrity at the door. It has no place in the wide, open spaces of such a golden imagination. The Funnyman will be available at additional retailers soon. To learn more about Sophia, visit the social media sites linked or provided below. Today, Dean’s Den is delighted to feature a new sweet regency romance novella, “The Governess’s Debut,” by Wendy May Andrews of Toronto, Ontario. Here’s more about the book and Wendy. The Governess’ Debut, by Wendy May Andrews. After her parents died in an accident and her brother gambled away her inheritance and dowry, leaving her to fend for herself while he ran off to the colonies, Miss Felicia Scott must find a way to keep a roof over her head. No longer able to enter the Marriage Mart but certainly not of the servant class, the only option is to find a position as governess. Her luck finally turns when an acquaintance refers her to the haughty widower, Lord Victor Astley, Earl of Standish. His spoiled, seven year old daughter has been through three governesses in the 18 months since her mother died. The earl is highly doubtful the young, inexperienced Miss Scott could possible manage his irascible daughter but since he is desperate he agrees to give her a chance. Much to the astonishment of the entire household Felicia succeeds beautifully, bringing the little lady under control and brightening the lives of everyone she comes in contact with, including the jaded earl. Will her joyful spirit be able to finally melt his resistant heart? Elaina: I’m so excited to finally get to meet the girls from your other book. Charlene: Yeah. It looks like Aumelan is doing great, so I wanted to introduce you to the main characters. Charlene: I thought I’d introduce him through Becca, Salana, and Dee. You know, let the reader find out about him indirectly. Charlene: Oh, you’ll love them. *tweaks his cheek* Want to hang around and get your nails done too? Becca: *squints at the sun* Have you forgotten already that I don’t deal with that? The sound of a scooter comes from around the corner with Dae’s voice screaming over it. Dee: I cannot do this! Charlene: *opens door* So let’s get started. I’m looking forward to this. Becca: For a very long time. He left me when he left for the World of the Sun. *glances at Dae and mumbles* At least he didn’t go to his slunk. Becca: Well, I’ve never been irritated to the point of losing my mastery skills. *tosses money on the counter and pockets the nail polish* I’ll have Iolet do my nails. At least she still knows her place. Salana: *glances at Dae* Um… I think I had a meeting I needed to attend with… someone. I’d better go too. This was enlightening. Chad Aumelan is in love, but his world isn’t right. Not when he’s forbidden to have Dae just because she’s his slave. When Salana Goffin meets Chad, she’s faced with the unbelievable: A man who must take energy from a host to survive. He wants to find a cure to free the woman he loves. How can Salana turn away such a noble cause? Together, they search for answers, but fate has another plan. Reblogging my guest spot on author Susan Finlay’s blog. I often hear from people who want to write a book but don’t know how or where to begin. Or from people who have already written a book that’s ready for publication but don’t know how to get it published. I recently began a new blog series, Writing and Publishing Tips From Authors Around the World, to help writers. The seventeenth contributor is U.S. author Dean Lombardo and he’s here to talk about using every available hour to write. Today I’m fortunate to have author Krysten Lindsay Hager on The Den. Krysten writes books for teens, tweens and adults, and today she’s here to discuss her debut novel, “True Colors,” and the sequel that’s coming out soon. Hi Krysten. Welcome to Dean’s Den. Tell us about yourself. I’m a book addict who has worked as a journalist and humor writer. Now I write books for tweens, teens, and adults. I’m originally from Michigan and I’ve lived in South Dakota, Portugal, and currently reside in southwestern Ohio where you can find me reading and writing when I’m not catching up on my favorite shows: Hart of Dixie, The Goldbergs, and American Dad. I received my master’s in American Culture from the University of Michigan-Flint. “True Colors” was my debut novel and the first book in the Landry’s True Colors series. Does True Colors take place in middle school or high school? My character, Landry Albright, is in eighth grade, but she talks about getting ready for high school and has a crush on a guy in high school. In the second book (out March 24th) she goes to the high school for an orientation and feels like she’s stepped into another world. That was exactly how I felt when I went to my high school orientation. Even the first day of ninth grade felt overwhelming. I remember getting off the bus, walking into school with my friend, Dene’, and wanting to turn back around and run out the door. Funny thing is that I ended up loving high school. The whole idea of it terrified me, but in less than a week, I was having a great time. Middle school, on the other hand, was nothing but conforming and rules, and I did not enjoy that, which is probably why I started the series in a middle school setting —because I had a lot to say about it. Times change – did you have to research the issues that this age group encounters, go by memory, or both? Explain the process. A bit of both. The general issues and feelings stay the same, which is why there are so many great YA books that stand the test of time. I use some of my memories, but I also stay current by reading magazines for that age group, books, and talking with teens and tweens. It’s kind of funny how the themes do stand the test of time. One of my favorite YA novels, “My Mother Was Never a Kid,” was one I picked up in the library when I was in grade school. I had no idea how old the book was when I picked it up (written before I was born), but it dealt with a girl in the 1970s and it flashed back to WWII times when her mother was a teenager. Even though those time periods were nothing I could technically relate to—the story about Victoria feeling as if her mother was never a kid was a timeless one. And that book is still out today and still a great story. What are these issues that teens encounter and is there advice and coping mechanisms for your teenagers cleverly built into the story? Landry is a very realistic teen in that I didn’t create her to magically have all the answers. She gets pushed around by friends and you see her trying to deal with the situations and handle moving from one group of friends who turns their back on her, to another group where she might need to conform to fit in. We see Landry realize she feels most comfortable with friends she can be herself around and not have to pretend to like certain things to fit in. She doesn’t come to that realization overnight that you need to find those kinds of friends, but it’s by trial and error and in learning it’s okay to be yourself and that good friends will accept you for who you are—not who you pretend to be. Why is a book like True Colors so important for teenage girls? Landry is a very real character and shows her flaws and the things that make her anxious (talking to her crush—actually talking to boys, period; modeling competitions; being on live TV; and public speaking). Even though she makes it through a few rounds of the modeling contest, she still deals with self-doubt due to her own insecurities and mean comments made by “frenemies” as well as girls at school. I’ve had readers share with me that they identify with Landry and liked that we saw even her embarrassing moments where she gets so nervous she makes a bee-line for the bathroom. One reading specialist wrote me to say her students felt better seeing that even this teen model sometimes felt bad about how she looked. I wanted to write a book that made people feel less alone in their own insecurities and hearing that from readers means so much to me. And now a little bit about the author life, from one writer to another – where do your ideas come from? I get ideas from all over. I always carry a little notebook with me to jot down ideas. I’ve been inspired by everything from a photograph to a song. I keep a file of ideas, pictures, etc. so I can go back later when things start to get pieced together in my mind. The idea for the group of friends Landry wants to get in with came from a CD cover I saw when I was in sixth grade. You never know what might spark inspiration, but for me it’s often seeing a picture of a person whose expression interests me. When do you like to write fiction and what are your optimum conditions? Are you a night-owl or a morning person? Night owl for sure! I used to write with music in the background (specific stuff, not just any music), but now I need silence. Complete silence. I can hear a squirrel sniffle outside and get thrown off. You seem to have built a solid author platform … on TV shows, a lot of ink, blogging, promoting, giving talks. What can you share with other authors about making this happen? I was a journalist years before this book came out and also have been writing and publishing essays, short stories, and articles. So I have been putting my work out there and getting used to what it’s like to deal with all that comes with having your work out there in the big scary world and with that comes the connections you make over the years. I always say start getting your name out there before you ever get the book out there. People need to get a taste of your work before they’ll invest in it. And what would you tell aspiring novelists? To understand there are two sides to it: the artistic side and the business side. 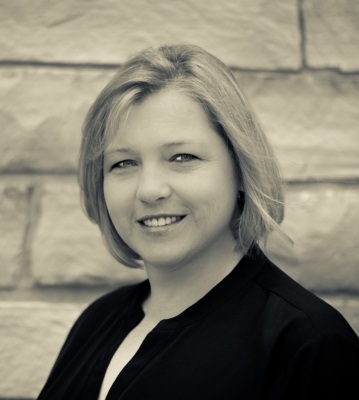 When I first signed my contract, I saw an author from our publishing company say she loved being a writer, but hated being an author because it was, “hard and scary.” So I would say to go in with realistic expectations and be prepared to work hard to make connections and learn the business side of it through conferences and classes. Finally, I understand “True Colors” is part of a series. Tell us what you can about the next book and anything else you are working on. “True Colors” is the first book in the Landry’s True Colors series. Book two will be out on March 24th and is titled, “Best Friends…Forever?” The sequel picks up right where the first book left off so we see Landry dealing with her parents living in separate states (they’re still married, but living apart due to her mother’s job taking them to Michigan) and dealing with her new friends and all the friend and frenemy drama that comes with middle school and high school. Also, in this book her crush, Vladi begins emailing her and that is a big deal for her. I go a little deeper into Landry finding out why some of these frenemies act the way they do and how to handle it as well. Landry tells one of her friends, Devon, the truth about their friend India going behind Devon’s back. India ends up spinning the story and making Landry look like the bad guy setting off a chain of events that leads to Landry being the outsider again. She has to figure out a way to get her friends back without compromising the truth. It’s filled with those moments of connecting with your first big crush, dealing with a breakup, losing your best friends, Landry getting her chance to meet her modeling idol, and a lot of funny stuff along the way, too. I’d like to add that people often ask me if Landry is/was me as a teen and we do have some similarities, but we have our differences as well. At her age, I definitely internalized everything and was a big over-thinker (okay, that part hasn’t changed at all.) She’s more of an introvert than I ever was, but I think considering the school I was attending at the time (a small, private school much like Hillcrest Academy where Landry goes), I definitely conformed to fit in with the small groups there and I can admit now that I really didn’t show my entire personality. When I got to high school, I felt freer to be myself and met more people with common interests.